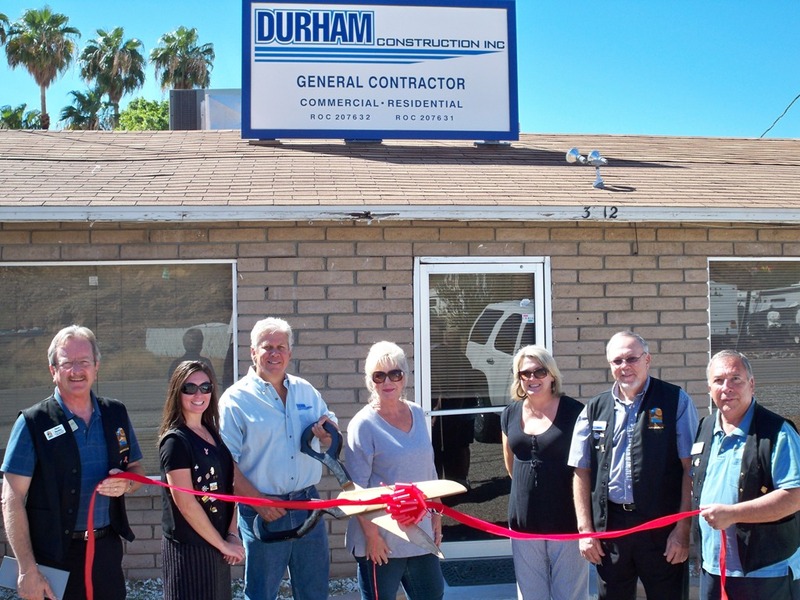 The Lake Havasu Area Chamber of Commerce Ambassadors held a ribbon cutting for Durham Construction, Incorporated. The company was founded in 1990 in California as a licensed General Contractor performing commercial, residential and general engineering work throughout Arizona and California. In 1996 Mark Durham moved his company and family from California to the Parker Dam area where they now reside. 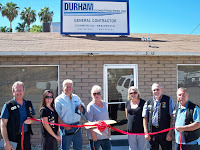 Durham Construction looks forward to many more years of business in the river cities area and would like to thank the Lake Havasu Area Chamber of Commerce on being an active, positive and a helping association. On hand for the ribbon cutting from left to right are; Steve Bentley, Crystal Alger, Mark Durham, Denise Durham, Lisa Krueger Gene Apedaile and Tom Otero. They are located at 3212 Parker Dam Road Parker, Ariz., 85344. For more information contact them at (928) 667-2530.